Venue: KB200, UTAR Sungai Long Campus, Bandar Sungai Long, Selangor. W3C released the final recommendation of HTML5 last October. At that moment, a lot of browsers have already complied with this version. HTML5 has a lots of dynamic functions, especially multimedia and communications; these new functions, namely webRTC, WoT, and webApps, will be discussed in this talk and its relevance with AI technologies. Prof Jay is currently a Professor in Muroran Institute of Technology, Hokkaido, Japan. He is also serving as an Adjunct Professor to UTAR now. 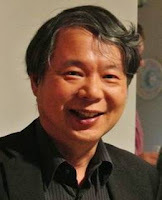 He had been working at NTT Lab and NTT America more than 30 years. 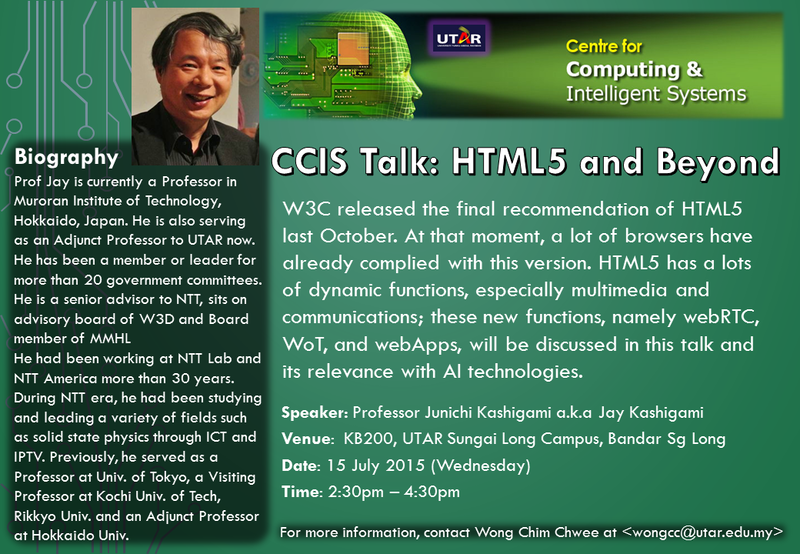 During NTT era, he had been studying and leading a variety of fields such as solid state physics through ICT and IPTV. Previously, he served as a Professor at Univ. of Tokyo, a Visiting Professor at Kochi Univ. of Tech, Rikkyo Univ. and an Adjunct Professor at Hokkaido Univ.